This pump is capable of producing up to 3000PSI at 2.5 GPM. I personally own a unit with this pump on it and have used it for almost 4 years with NO problems. This is a top quality replacement that will rival any pump on the market. 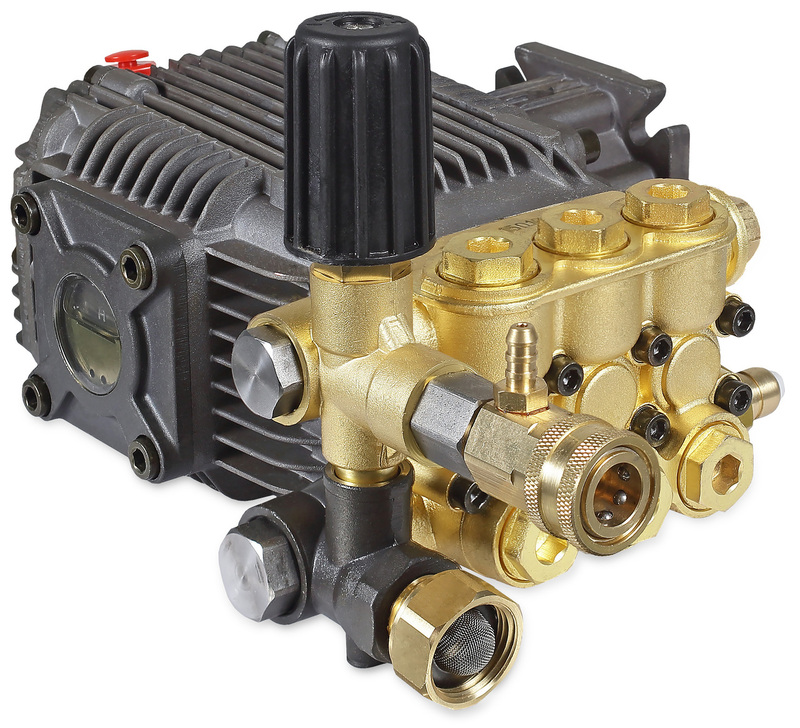 The pump includes a built in unloader, a thermal relief valve, and a chemical injector. This pump is completly rebuildable from the valves to the packings and unloader. It is already pre-filled with oil. Shaft Size: Fits most HORIZONTAL SHAFT engines with a 3/4" Diameter Shaft. The shaft should be approximately 2 inches long. Replacement Parts:(Click on Each Part number to be taken to a link to the part on our website.